As previously explained in one of our previous posts, the dinosaur bones that you can find on display at many museums are known as fossils. However what you might not know is that they are no longer actually bones. Fossils are actually rocks that have formed through the process of fossilization. As previously explained fossils can be either body fossils – parts of the animal such as teeth and bones or trace fossils – footprints, burrows, dung etc. Now there are many places that these fossils can be found including ancient riverbeds, lakes, caves, volcanic ash falls, tar pits, the desert etc. They can be found all over the world. This is because during the times that dinosaurs were alive the majority of the world was one large land mass. We didn’t have so many oceans back then and all of the countries and continents that we have now didn’t exist! How crazy is that? Dinosaurs didn’t travel on planes to go and visit each other and they didn’t have to use boats to go across the ocean because there were nowhere near as many as we have today! Now while you can find fossils in many many places, they are nearly always found in what is called sedimentary rocks. These are rocks that form when sand, mud and other organic material settle without any water or air forming layers. Over time as more layers build up on top of these bones, teeth footprints etc. the layers at the bottom become compressed and compacted to form rock. These large sedimentary rocks are often very big, the size of mountains. Therefore, when scientists are searching for fossils they try to narrow down their search. Usually they focus on a specific time period that dinosaurs were alive such as the Jurassic Era or the Mesozoic era. They then identify the specific rock layers that would have formed during or just after this time period and begin their search for fossils. It’s actually very difficult to find a fossil! You may think that there must be millions of them that we should be able to find everywhere, maybe even in our own back gardens but that’s not quite the case. It is actually not easy for fossils to form. You have to have conditions that are just right! Most ancient animals didn’t become fossils because their carcasses may have been eaten or worn away by wind, rain or floods. 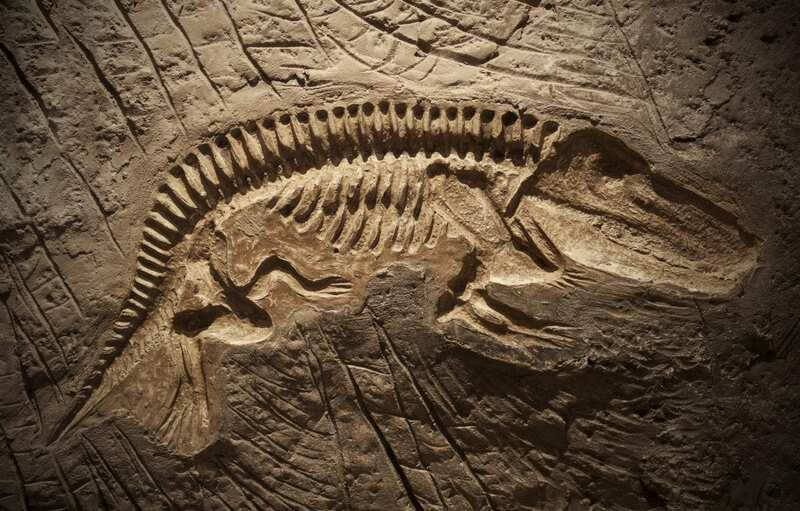 In order to actually become a fossil an animals carcass would need to be covered quite quickly with things like sand, mud and silt to preserve it and prevent it from rotting. But how are they actually discovered? Well Paleontologists (see our past posts for who these brilliant scientists are) must go searching all across the world. These trips or searches that they go on are called expeditions and they require lots of careful planning and a lot of money. So paleontologists usually set out with a specific goal of what they want to find. Also because they want to increase their chances of finding a fossil they often try to go to new and unexplored places that haven’t been searched before to increase their odds of finding one. For more info on how fossils are discovered you’ll have to wait for our next blog post ? In the meantime come down for a round at Dinosaur Escape and check out our dinosaurs and their footprints. Do you remember what kind of fossil dino footprints are?